EmployIndy partners with Indiana Department of Workforce Development (DWD) on several of workforce-ready initiatives. This partnership aims to break down barriers and make it possible for all individuals to receive adult basic education and actively enroll in a variety of training programs in order to further their skill set. Five years ago, the state General Assembly unanimously passed a bill to shift adult education to DWD, a move aimed to address both the recession and the looming talent gap that Indiana was facing. 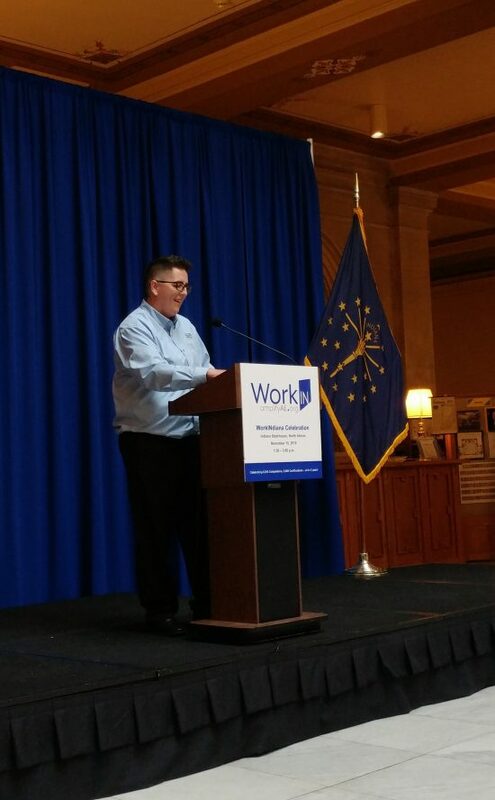 At the Indiana Statehouse today WorkINdiana celebrated 6,000 completions and 5,000 certifications in five years. Speaking at the event was EmployIndy COO Marie Mackintosh, Associate COO of Adult Education with the Department of Workforce Development Marilyn Pitzulo, and Ivy Tech’s Madison Campus Chancellor Molly Dodge. They provided background on WorkINdiana and the dynamic shift to focusing on industry-recognized credentials so adult education could be seen as a stepping stone toward a career. Then they passed the mic to three WorkINdiana participants: Brittany Young, Paul Powell, and Sarah White. 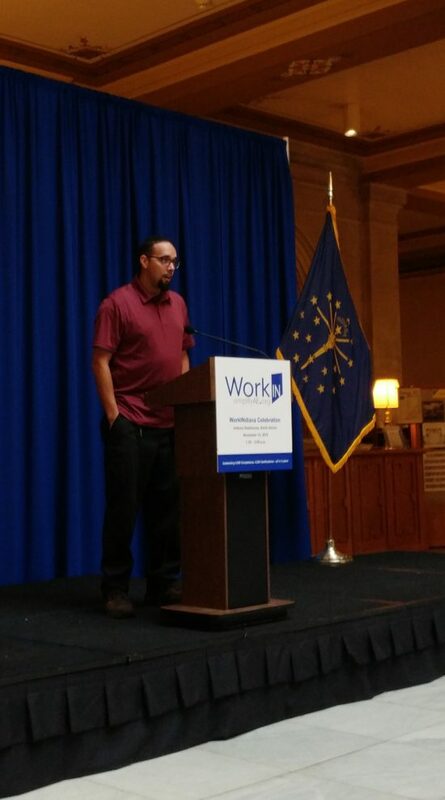 These individuals shared their personal journeys and talked about where they are now because of the opportunities gained through WorkINdiana. Brittany Young attributes her confidence to the people who helped her along the way. 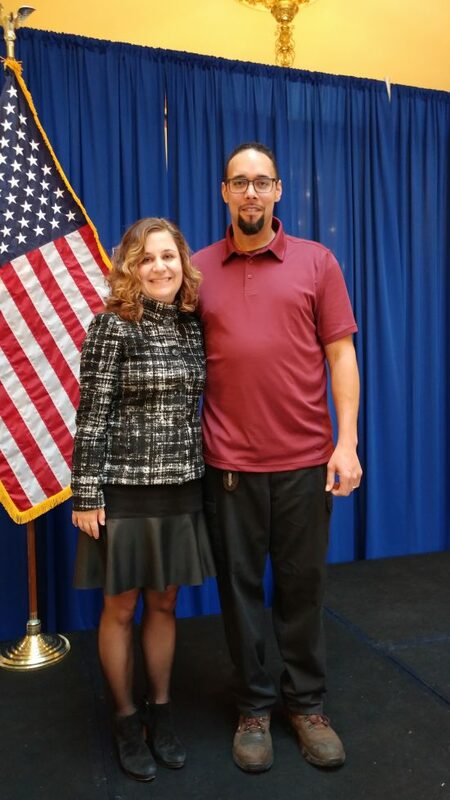 “I developed relationships and gained emotional support all through this program.” As a 2014 WorkINdiana participant from southern Indiana, she completed entry welder training and landed a job at Vehicle Service Group as a Cell Coordinator. Paul Powell, a 2018 participant from Indianapolis, talks about quick results. “It is good to know that [WorkOne Indy] showed up when I needed it.” All within 6 months, he obtained his HSE, CDL-A certification, and started work at Eby-Brown as a CDL driver. Sarah White spoke to the 3 month Medical Assistant training she completed right out of high school in 2018. “It was a jumpstart to my career.” She is currently at Greene County Hospital where she is employed as a certified Clinical Medical Assistant. WorkINdiana is just one of many ways that EmployIndy is working to skill-up Marion County’s workforce. 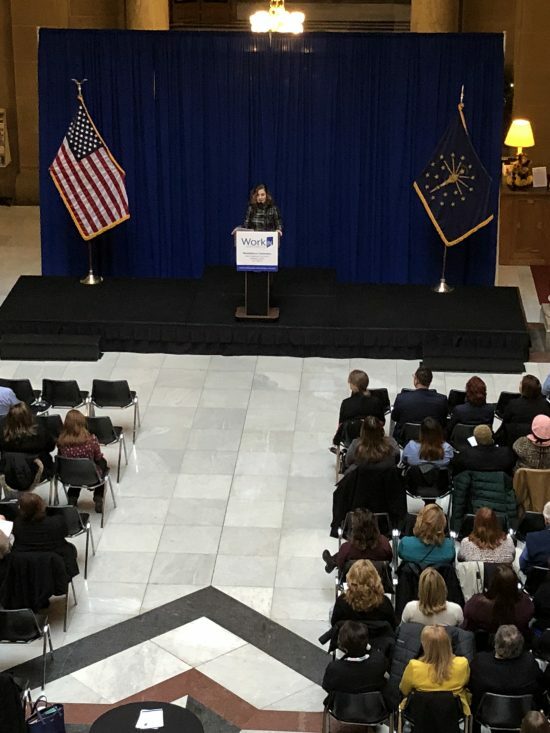 Recently, EmployIndy was awarded $125,000 of Workforce Innovation Opportunity Act (WIOA) funding from DWD in order to remove barriers for employers, service providers, and job seekers alike. This funding will give service providers the tools they need to knowledgeably serve the adult population and provide opportunities for them to skill-up into the jobs within Indianapolis’ high-demand industries, providing a workforce-ready population for the future of Marion County and local employers. 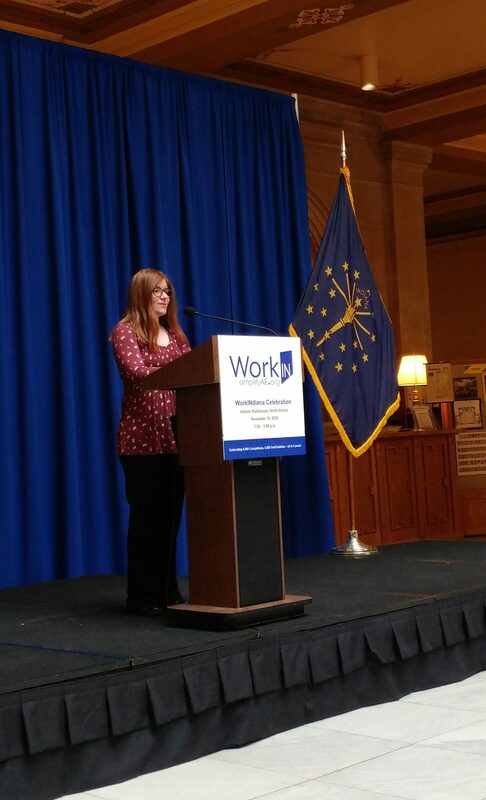 EmployIndy COO Marie Mackintosh spoke regarding her involvement in the development and implementation of WorkINdiana as the previous State Director of Adult Education.